This table is such a fun table with vintage cars and trucks. Be sure to check out the video below. I found the placemats, plates, truck and cars at Target. 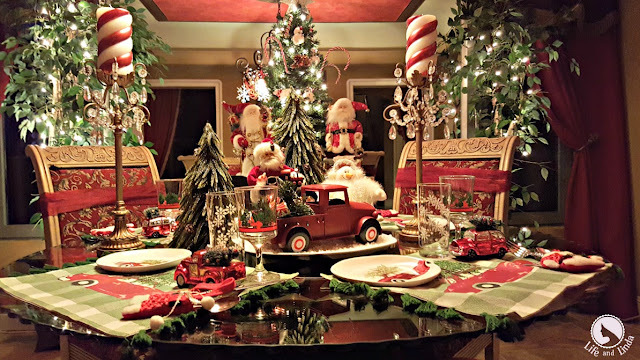 I love the traditional colors of Christmas, red and green. Here's a little video I took of the breakfast room. A great shot of our french doors with some twilight lighting. You can see why I love this fun vintage look. 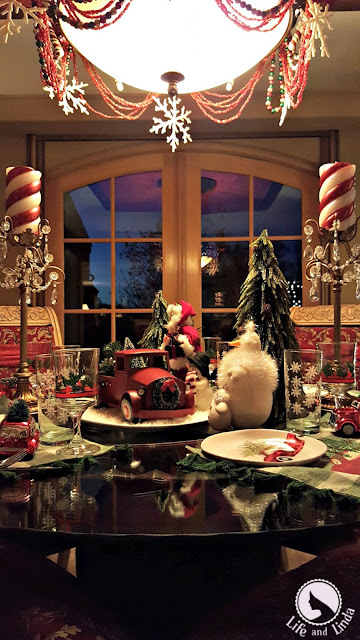 You can see the two Santas in the background on each side of the mini Christmas tree. 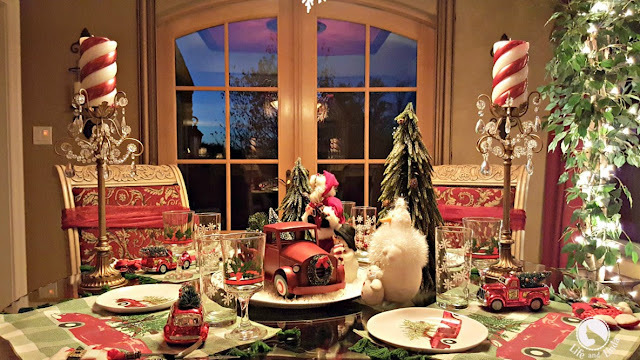 The cute red truck is the centerpiece, surrounded by snow, trees, Santa Claus and snowmen. I always deck out our chandeliers for Christmas. This one has red beads, bows, candy canes and snowflakes. Such busy times for everyone now. Be safe and stay warm. 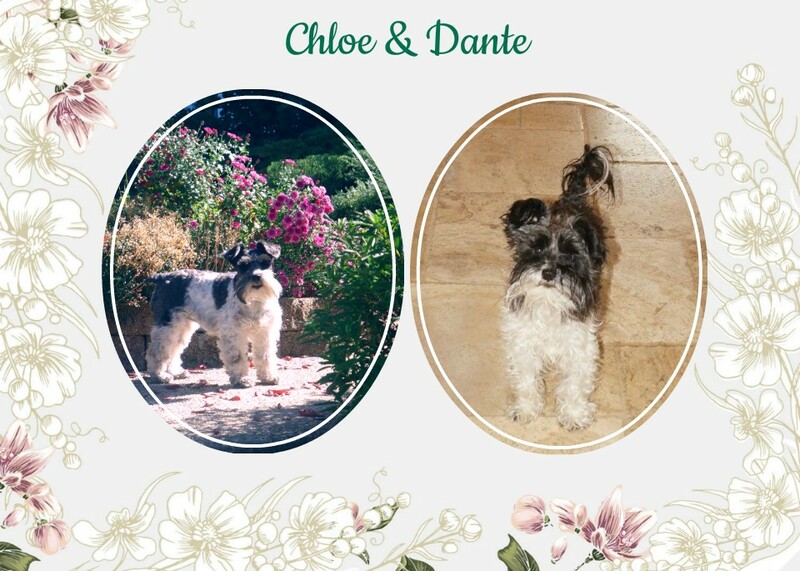 sending Love and hugs and blessings. 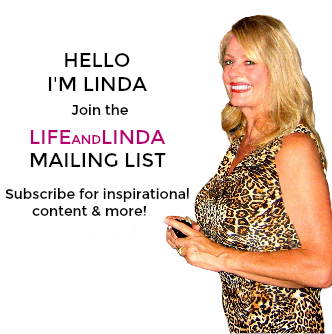 One of my favorites Linda! I love those vintagey looking cars and trucks.Charrming. There is nothing like one stop shopping. Such fun vintage decor you found! I love the way you dressed the chandelier too! Hey, you caught the "Blue Hour" in your beautiful windows!!! Always such a treat to see your beautiful posts, Linda. I'm so very happy that you feel well enough to do all this. You amaze me with both your energy & ideas. I agree. Your energy amazes me. I don't think our( 40 minutes away) Target had any of the cute things you found. Your chandy is so cute and I love the candy cane candles. 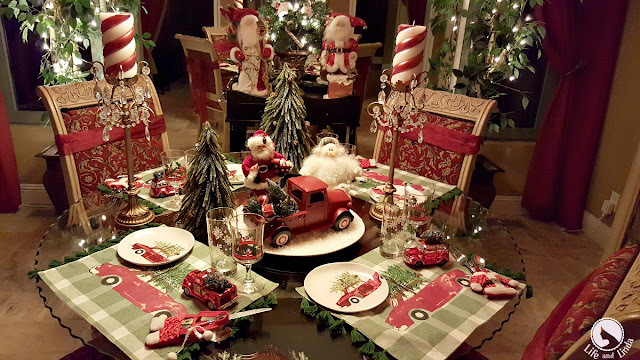 Your home looks fabulous, Linda and I love your vintage car holiday theme! So pewrty and unique! You've really gone all out this holiday season! Love all the holiday graphics, too! I am grinning from ear to ear Linda! This is over the top adorable! 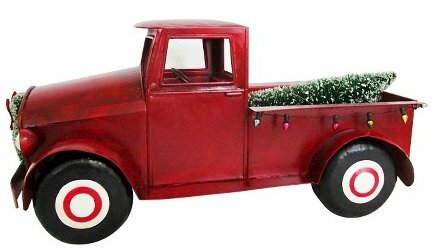 I know trees on cars and trucks is trending this year, and THIS is the cutest rendition I've seen! Fa la la fabulous! How lovely everything is and so festive. Thanks for sharing. Had to pop over and see the full post after loving it on Instagram. The red truck just warms my heart. What a fun table idea. Linda, may I come and sit at your fun table? 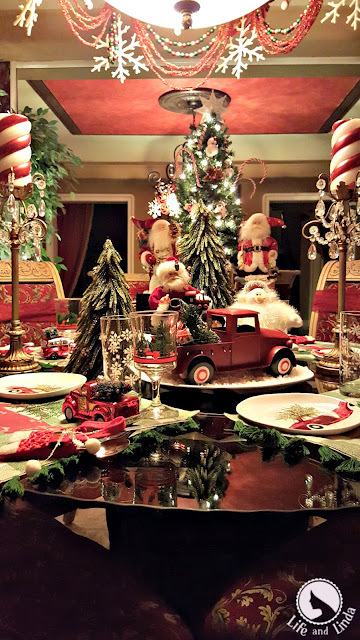 I love the red truck, plates, and place mats...and the chandy is perfectly dressed! 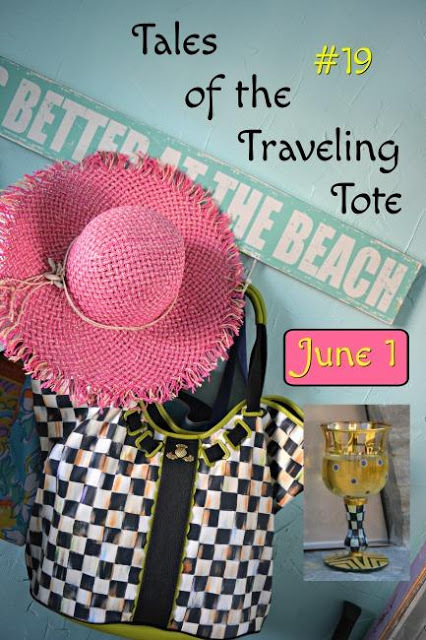 This is fabulous, Linda, a fun idea. What a fun , whimsical table, Linda. I missed all those cute items at Target. Loved your video, too. 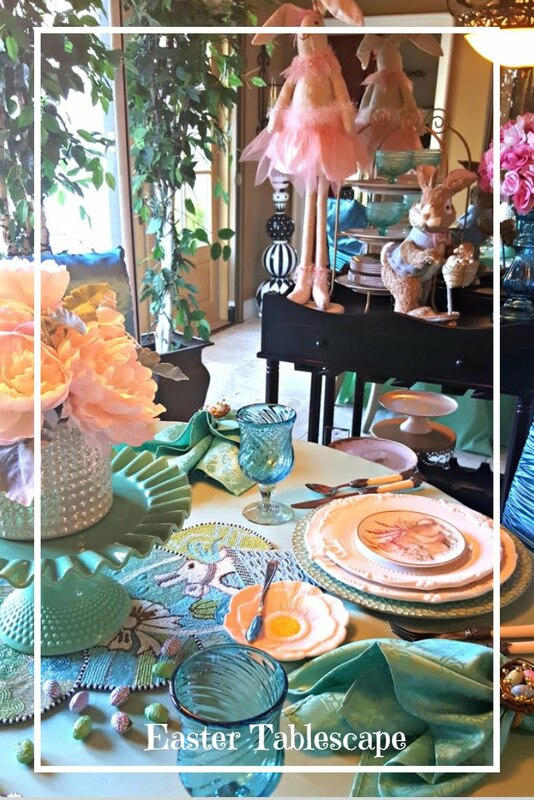 This tablescape is absolutely darling! I fell in love with the little red truck and purchased two plates. 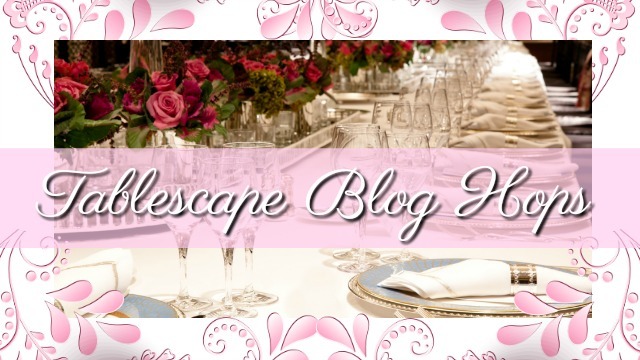 Now that I see it as an entire tablescape theme, it is so adorable! You did such wonderful work. 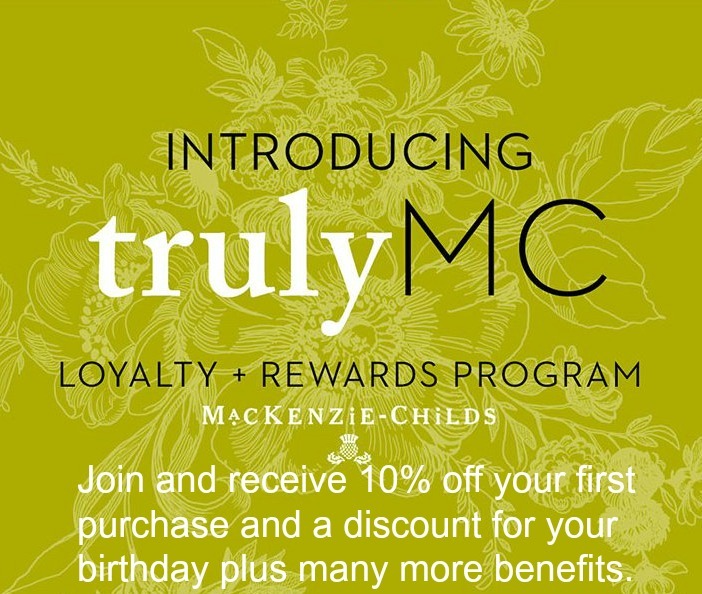 It is a great theme for both children and adults. Merry Christmas. I love this Linda! I'm so in love with the whole antique truck and woody wagons with trees this year and your centerpiece is adorable! 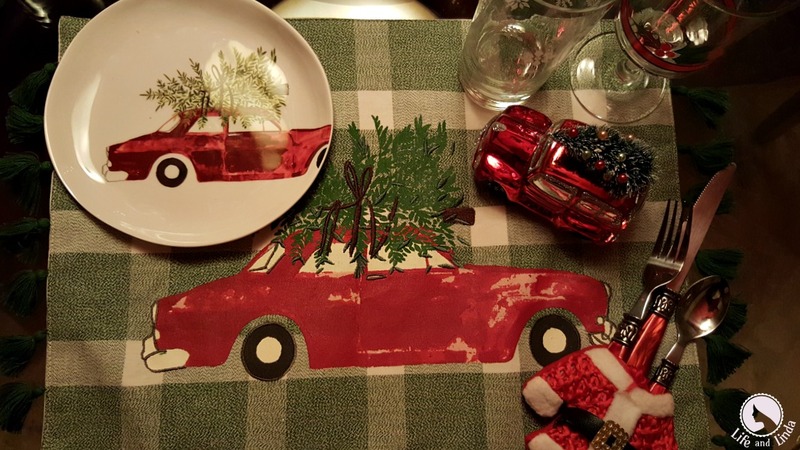 Love the plates and placemats. This whole table is adorable from the striped candles to the santas! Those little ornaments are the cutest! What an enjoyable table! This is fabulous!!! 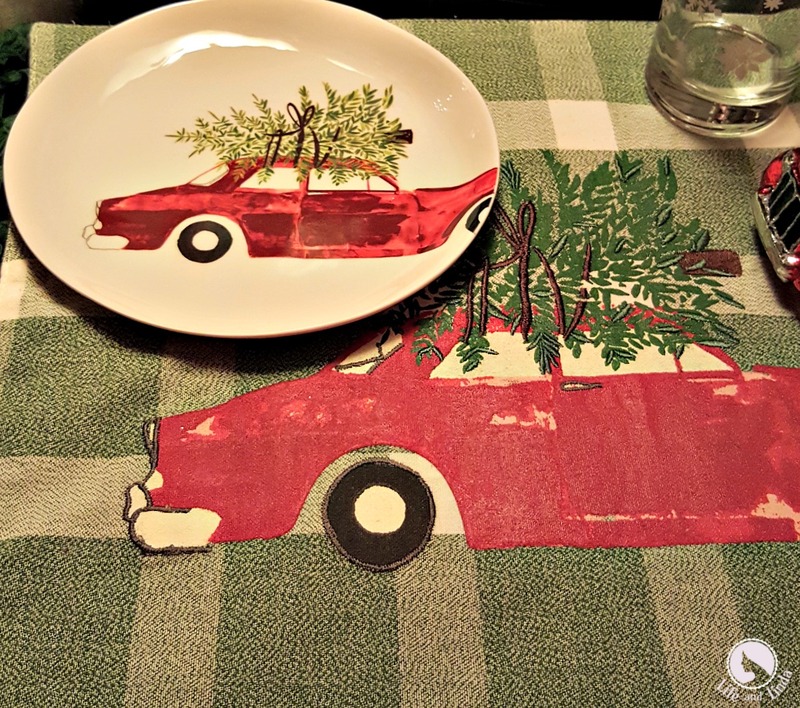 I KNOW I bought the BHG woody plates at Walmart and now can't find them! 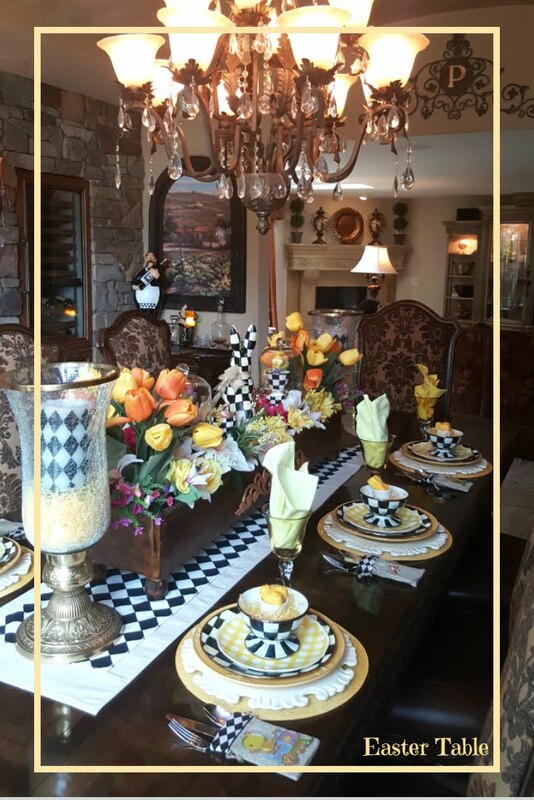 I have a runner and the cars too so have to find the plates for my tablescape!! I love your chandy all decked out too. Your home is always just gorgeous. Merry Christmas!